Regardless, I still managed to get some good shots! Please scroll through the rest of this post to see my photos and some highlights from his 5 song set. You can click on any image to get a larger view! 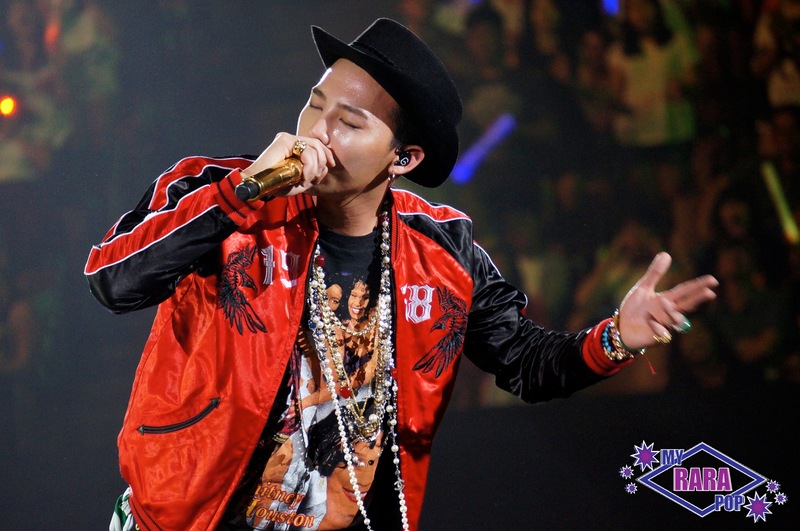 He opened strong with his trademark song One of a Kind and then smoothly transitioned into the energetic Michigo. Who You? was his third song of the night much to the delight of fans. 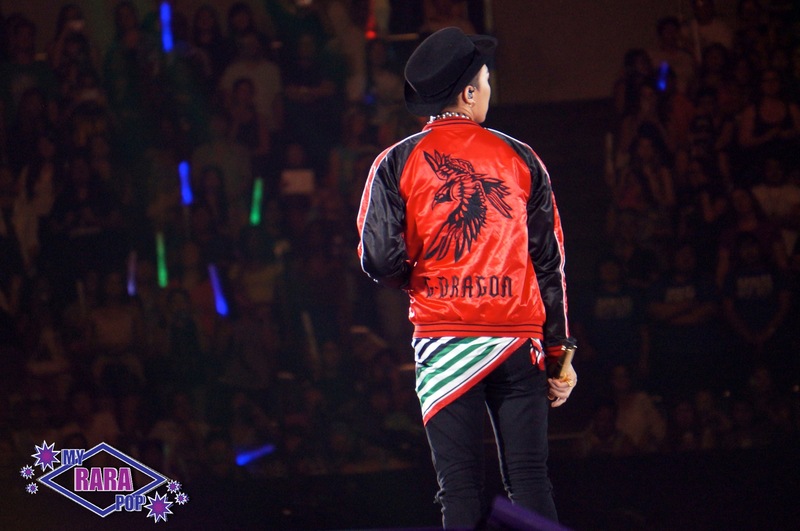 The personalized G-dragon jacket soon came off just in time for Crooked. 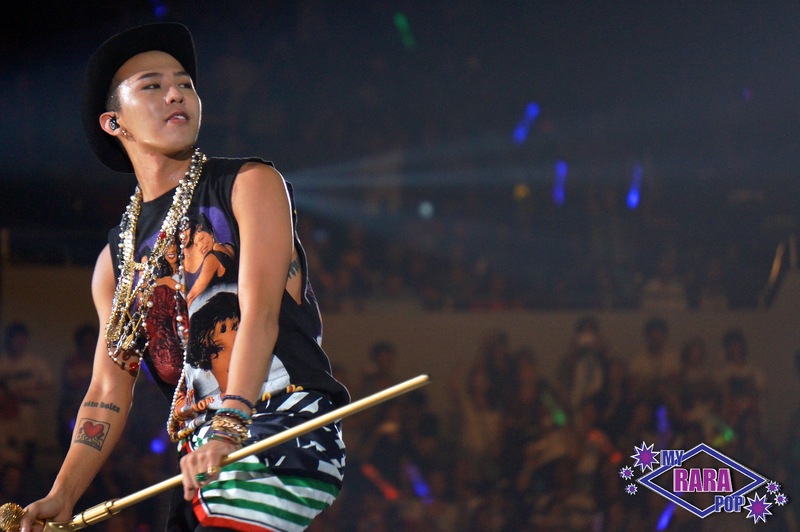 Crayon closed out the night and G-Dragon sure got his “cray” on! 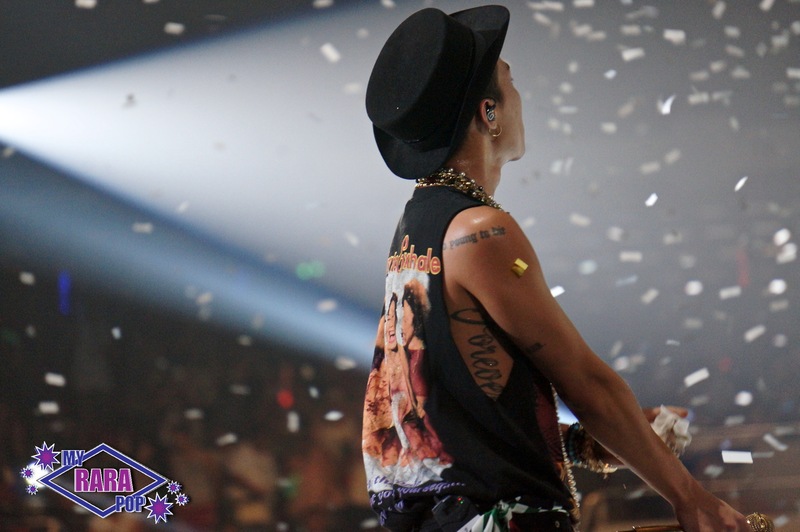 At the conclusion of Crayon, confetti showered down on the stage making for a very memorable ending! While brief, it was a fantastic showcase of G-Dragon’s immense talent. His stage presence is undeniable and I can’t keep the smile off my face when I look at these photos and relive this wonderful night at KCON. 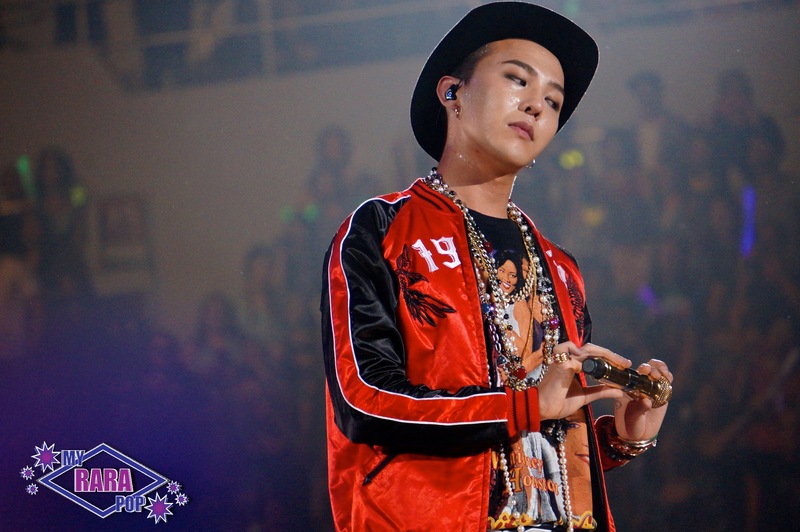 I hope I can see G-Dragon perform again very soon! I hope you enjoyed the photos! I apologize that the majority are of his backside (not that that’s necessarily a bad thing). I hope next time I’ll have a better view! Regardless of my vantage point, I still had a fantastic time watching GD at KCON. Did you go to KCON? What did you think of G-Dragon’s performance? Which photo is your favorite? I’m having a hard time picking! Please share your thoughts below! More KCON photos will be up very soon! I have about 4,000 photos from last weekend and it’s taking me some time to filter through them all. Please be sure to check back for more in the coming days! Looks like you were super close! Awesome shots! 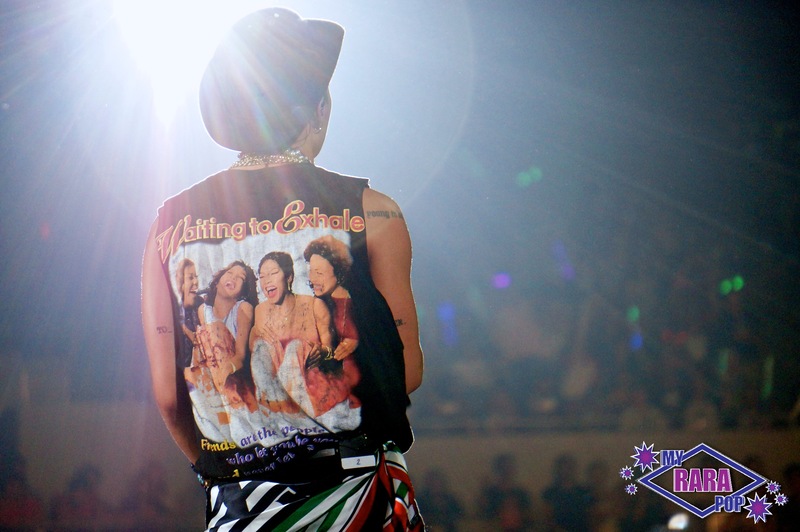 And I like his Waiting to Exhale t-shirt ^^.